The Sounders allowed goals in the 43rd minute and 86th minute on Saturday to Real Salt Lake, continuing a tough trend that carried over from last season. SANDY, Utah – In the first leg of their CONCACAF Champions League quarterfinal against Club America, the Sounders surrendered a 45th-minute goal to Carlos Quintero barely a minute after Clint Dempsey had edged them in front. In the return leg in Mexico City, Seattle gave up goals in the 41st minute and in first-half stoppage time. The inability to close halves stretches to last postseason, when FC Dallas’ Walker Zimmerman scored in the 91st minute to deny Seattle an imminent Western Conference finals berth. 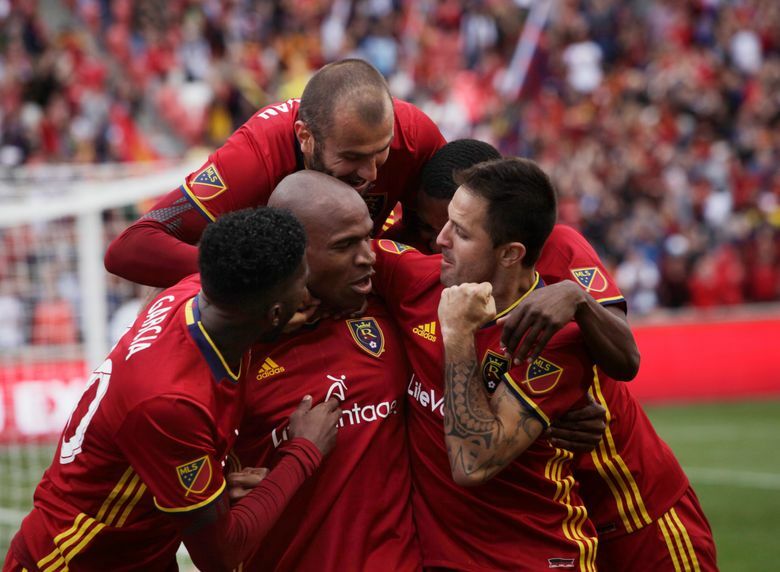 So it felt more the continuation of a worrying trend than an anomaly when Real Salt Lake’s Sunny headed in a 43rd-minute corner kick to answer Osvaldo Alonso’s earlier, go-ahead goal on Saturday at Rio Tinto Stadium. Saturday’s breakdown comes with the caveat that starting center back Brad Evans is injured, but the benefit of the doubt was surrendered a few games ago. Evans (left shoulder dislocation), Michael Farfan (right hamstring strain), Erik Friberg (concussion) and Tyrone Mears (right quad strain) were all listed as questionable for Saturday’s match. Roman Torres is still at least a few months away with his recovery from an ACL tear. Mears and Friberg were able to play, but the latter made it only 17 minutes before hobbling off with an ominous-looking leg injury. Trainers were checking out Friberg’s knee, and he spent the rest of the afternoon posted up on the Sounders bench. Jordan Morris also was substituted off shortly after a collision, knocking heads with Chris Wingert before ambling off holding the side of his noggin. Nelson Valdez followed him to the sideline shortly afterward with a grimace and a gesture toward his left thigh. Sounders coach Sigi Schmid didn’t provide any updates on their conditions after the game, but he did note that Morris was already on his way out of the game before taking the knock to his head. Only the Whitecaps also remain pointless, but they could change that lSunday night against Kansas City. Defying conventional wisdom and preseason predictions – or further underlining how pointless the standings are this early in the season – the New York Red Bulls are the only team lower than Seattle in the overall league table with no points and a negative-five goal differential. The schedule doesn’t get any easier, at least not until mid-April. Rival and trendy MLS Cup pick Vancouver comes to CenturyLink next weekend, and Eastern Conference dark horse Montreal follows on the other side of an international break.